A woman with a desire for change does so starting with the color of her hair. Even an actress like Julia Roberts has echoed this sentiment in an interview: “My natural hair color was a sort of dark blonde. Now, my hair color changes depending on my mood”. 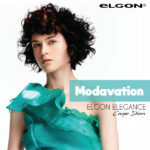 Elgon guarantees results in this field, thanks to a variety of coloring products that allow for maximum personalisation and creativity, whilst always affording due attention to the care and appearance of the hair. Today, we are here with Zoey Olechnowicz, International Educator at Elgon, to hear several anecdotes on the theme of coloring. Hi Zoey, so many customers love to experiment today. I|Care seems to be the perfect solution, offering the possibility of lively and intense color that washes out quickly. What’s your opinion? “I|Care is an incredibly dynamic line of coloring products. Color specialists adore it because they can play with it and have fun, for example by adding new tints to the hair after bleaching. What’s more, just as the product’s name suggests, it’s also great for taking care of the customer’s hair, helping them to maintain perfect color in the weeks following treatment”. Elgon also boasts the 10MIN line, another highly innovative product that allows for the permanent coloring of the hair in record time. How does it work? Here’s an anecdote that will tell you all you need to know about this product. There was just an hour to go before the Modavation look runway show and we needed to substitute a model. In any case, it’s a challenging situation. We organised an emergency casting… and found the model who perfectly embodies the spirit of the line: Xing, but the color of her hair wasn’t quite right. The situation was far from ideal: you can go up against anything but you can’t slow down time. Yet Xing had the Modavation spirit, something that we all noticed the very first time we saw her. She was so pop, so fresh glam! It was an electrifying hour, bordering on frenetic. We had the 10 MIN color with us: the shade that we chose for her added energy to her fresh elegance, that essential touch that made her perfect for the runway. This is why 10 MIN is one of those products that I recommend always having to hand in the salon; we are really short on time and today’s women want to be in and out of the salon looking immaculate in an hour.